The Google Bus comes to Mitcham! 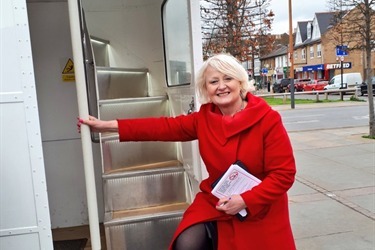 Home / News & Views / News / The Google Bus comes to Mitcham! 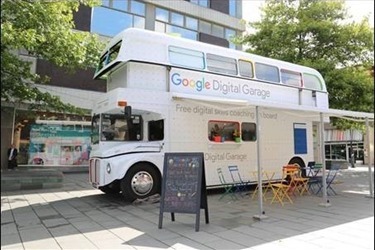 On Saturday 16th March, the Google Bus came to Mitcham Town Centre, offering free digital skills training to all who live in our constituency. Four classes took place throughout the day on ‘An Introduction to Digital Advertising’, ‘Building a CV’, ‘Keeping your Family Safe Online’ and ‘Social Media Strategy’, whilst more general information was provided throughout the day for those who could not stay for the classes. The feedback from those who attended was that the day was incredibly informative and that the day offered invaluable guidance on how to make the most of the capabilities of the internet and social media, whilst staying safe online. I was delighted that the Google bus came to Mitcham and Morden. It is one of Google's flagship programmes, helping over 300,000 people since 2015. Thank you to all of their staff who came to our constituency and I hope all those who visited the bus learnt lots from the day!